On October 17, EA announced the closure of Visceral Games, the developer behind games such as Dead Space, Battlefield Hardline, and Dante’s Inferno. This came as disappointing news to fans of Visceral’s titles… and also to Star Wars fans looking forward to the story-driven Star Wars game Visceral had in development. We didn’t know a lot about Visceral’s Star Wars game, but what we did know was intriguing. It was a linear, story-driven action-adventure game set in between Revenge of the Sith and A New Hope. The creative director was Amy Hennig, most famous for her work on the Uncharted series, which led to much speculation that it would be an Uncharted-style game in the Star Wars universe. Final Fantasy XV is now available for the PlayStation 4 and the Xbox One, and one of the most divisive characters has proven to be Lunafreya. 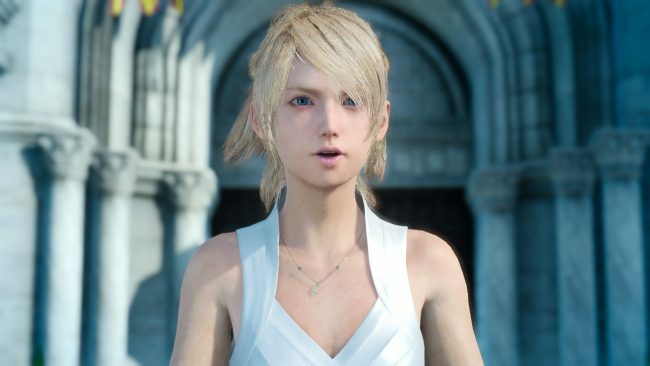 Lunafreya Nox Fleuret, or Luna, is the princess of Tenebrae, a kingdom taken over by the Niflheim Empire years prior to the start of the game. She is also the youngest Oracle in history. Final Fantasy XV’s Oracles are people with the power to speak with the gods and cleanse the world. According to legend, the Astral Bahamut chose the first Oracle and gave her his trident. Ever since then, the power of the Oracle has been passed down from generation to generation. The Oracle’s goal is to stop the Starscourge, a plague that lengthens the nights and allows demons to appear. The Oracle keeps the Starscourge at bay until the True King, from the line of Lucis, can stop it forever. Since its release in May, Overwatch has taken the gaming world by storm. 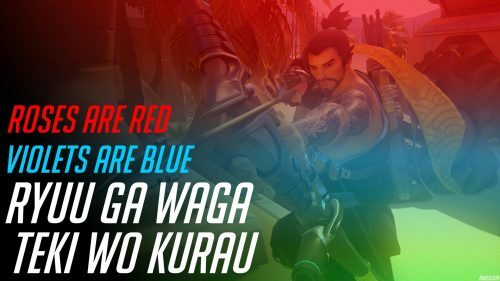 Not only do people love playing Overwatch, but it’s also given rise to some great memes. 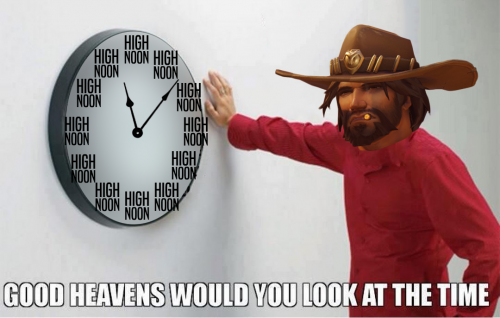 While many more Overwatch memes can be found, here are some of our favorites. Note: we do not own any of these memes. We simply gathered them from around the Internet. 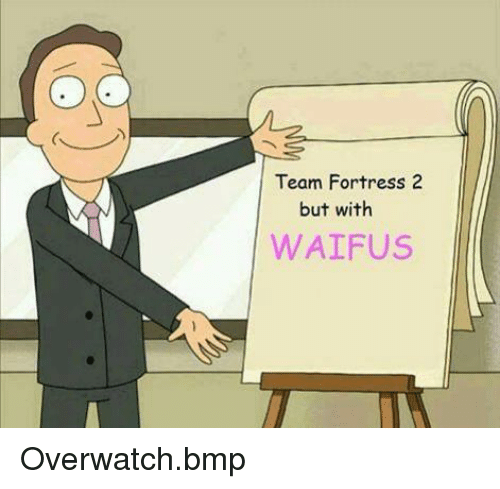 Due to the similarities between Overwatch and Team Fortress 2, there are numerous memes about how Overwatch is just Blizzard’s version of the other game. So, what is the main distinguishing factor between Overwatch and Team Fortress 2? 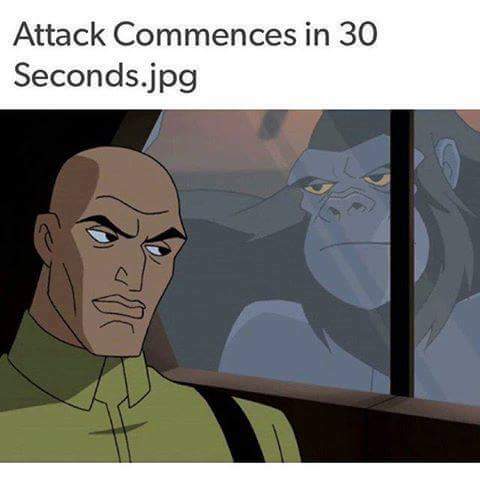 In reference to the two teams waiting for a match of Overwatch to begin, one of the most common Overwatch memes is to pair the “Attack commences in 30 seconds” line with an image of characters staring at one another through a window or door. The version pictured above is an especially popular one. Good team composition can be hard to come by in Overwatch, since sometimes you have far too many team members who want to play the same character. 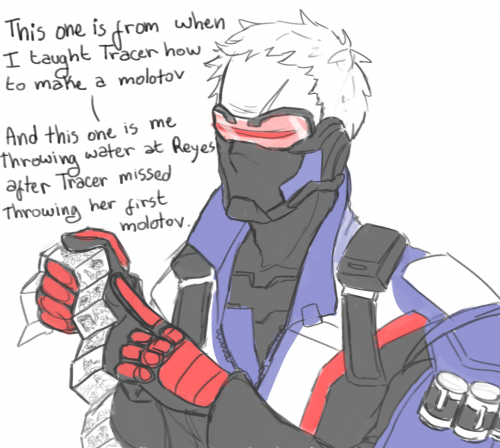 Bastion has led to an incredible number of memes, ever since the Overwatch beta. As a robot able to transform into a turret, this character can be devastating. 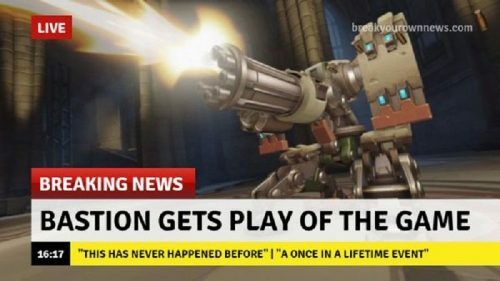 As a result, Bastion players frequently get “play of the game” at the end of a round. Bastion memes are numerous, whether they’re about the character being overpowered, players who main Bastion being evil, or just how often he defeats his opponents. 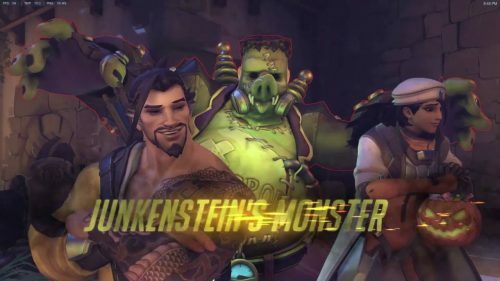 During the Halloween co-op event called Junkenstein’s Revenge, it became popular for players to try to photobomb bosses. Boss characters are introduced with a dramatic camera shot that slowly swing out in front of them as they pose. If you place your character in just the right spot, you can appear in the boss’s introduction shot. 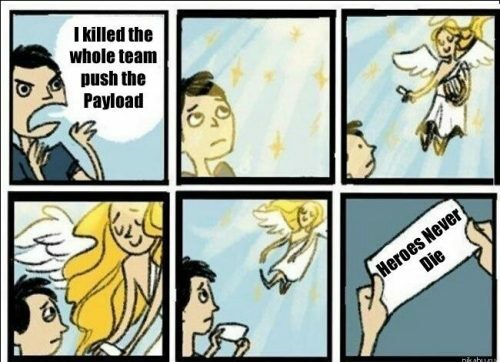 When Mercy uses her ultimate to revive her fallen team members, she says “Heroes never die.” This has led to a wide variety of “heroes never die” memes. They range from the frustration (or horror) when it’s an enemy Mercy who does it, to the glory of being revived. Note: when the opposing team’s Mercy uses her ultimate, she says her line in German. There also was a special Soldier 76 event during Father’s Day, but that was entirely a coincidence. Probably. Since Reaper’s name is a word, he’s found himself in many reaper-related memes, from the Grim Reaper to the Reapers from Mass Effect. 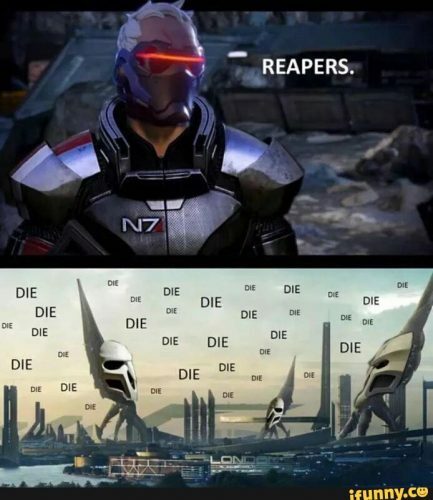 The Mass Effect Overwatch memes allow for even more variety, such as jokes about Reaper’s involvement with the Reapers or parodies of the infamous “Ah yes, ‘Reapers,'” line from Mass Effect. These are only a handful of the many memes that have come out of Overwatch. 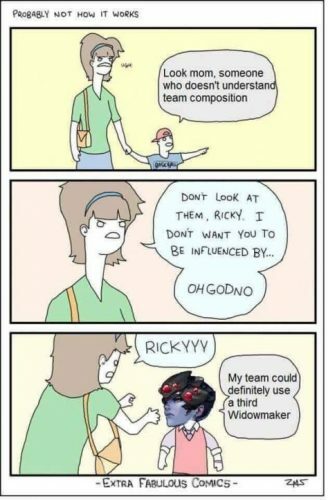 Do you have a favorite Overwatch meme we haven’t posted? Share it with us in the comments! 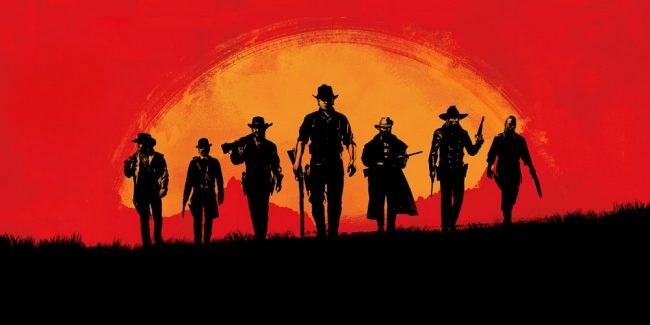 Rockstar Games has announced Red Dead Redemption 2, the sequel to 2010’s Red Dead Redemption and the third game in the Red Dead series. It will be released for the PlayStation 4 and Xbox One sometime in Fall 2017. If you haven’t already watched the announcement trailer, have a look. Although actual cheat codes aren’t as common in games nowadays, Rockstar is one of the remaining developers who still likes to add fun cheats into their games. What sorts of cheats might we find in Red Dead Redemption 2? The original Red Dead Redemption had a decent selection of cheat codes. You could do basic things like unlock weapons, spawn horses, alter your Fame level, etc., as well as cause more interesting effects, such as make animals friendly toward you with the Beastmaster code. Jump forward a few years to Grand Theft Auto V, and you’ll see that Rockstar implemented an even wider variety of cheats: invincibility, flaming bullets, weather control, lower gravity, and more. While many players loved Red Dead Redemption’s cheats, several feel they weren’t nearly as interesting or varied as those found in the Grand Theft Auto series. It’s safe to say we’ll see cheats return in Red Dead Redemption 2, but what will they be like? What types of cheats would you most like to see in Red Dead Redemption 2? Let us know in the comments. Famitsu recently revealed details about the combat system for Nier: Automata, the upcoming action RPG from PlatinumGames and Square Enix for the PlayStation 4 and PC. The protagonist is an android named YoRHa No. 2 Model B, or 2B. She can wield a balanced one-handed sword, a heavy two-handed sword, and faster, short-range melee weapons. Her Pod support system also allows her to shoot enemies from a distance. In combat, you’ll use the Square button for a fast attack and the Triangle button for a heavy attack. You can have two weapon sets (such as one set using a melee weapon and one-handed sword, and another set using the one-handed sword and two-handed sword), and you can swap between at any time using the d-pad. For ranged attacks, you’ll use R1 to fire your Pod’s guns and L2 to lock on to enemies. Finally, R2 will be used to let you dodge and evade attacks. If you dodge at the exact moment an attack would have struck, you’ll become temporarily invincible and be able to use special attacks. This should sound familiar to anyone who has played Platinum’s Bayonetta games, although unlike Bayonetta’s Witch Time, it doesn’t affect the flow of time. Like Platinum’s previous games, Nier: Automata should be filled with challenge for players who love action games. However, for those who are unable to play the action sequences, there is a special Auto Mode that lets 2B automatically attack and evade as long as you keep moving. Auto Mode can only be enabled if you’re already playing on easy. While this may seem like an odd decision, Bayonetta included a similar feature. Nier: Automata is due out in Japan on February 23, 2017, with a worldwide release later that year. 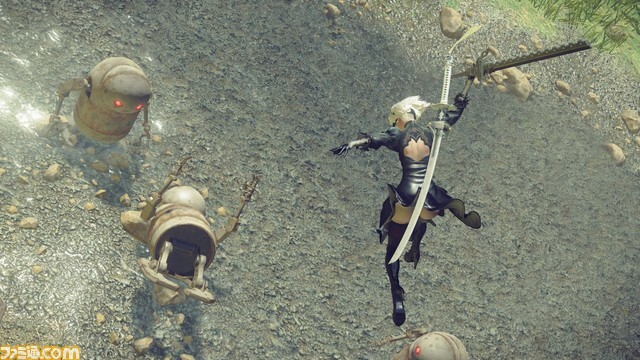 Although it is a sequel to Square Enix’s 2010 action RPG Nier (which is itself a Drakengard spin-off), director Yoko Taro has said players will be able to enjoy Automata even if they didn’t play the original Nier. If you’re familiar with PlayStation Plus, you might remember that every March, Sony holds a Spring Fever event with special promotions and discounts. This year, Spring Fever won’t last just four weeks, but eight! Keep your eye on the PlayStation Blog as we head into March for the full details on these sales. 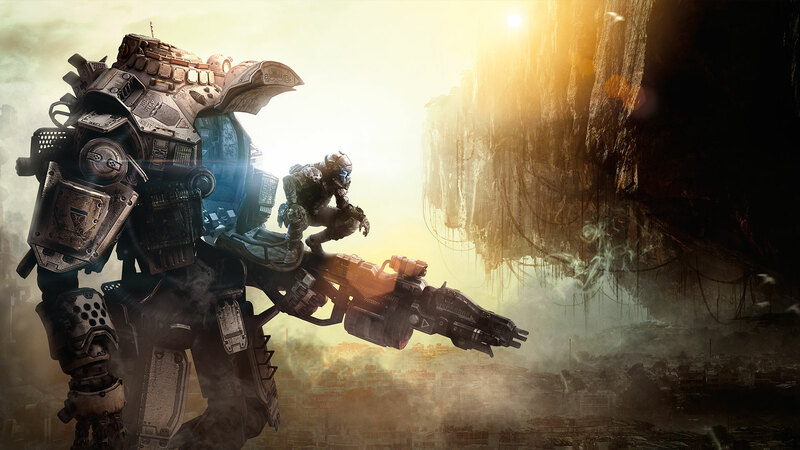 Which PS4 Games Do You Regret Buying? Over a year has passed since the PlayStation 4 came out on November 15, 2013. Since then, it’s seen its share of successes and failures. Many games, both big-name and indie, have been released for the PS4 over the past year. Fans debate all the time about what the best games are, but which PS4 purchases do players most regret? Some users on Reddit got together to discuss this, and some common patterns emerged. 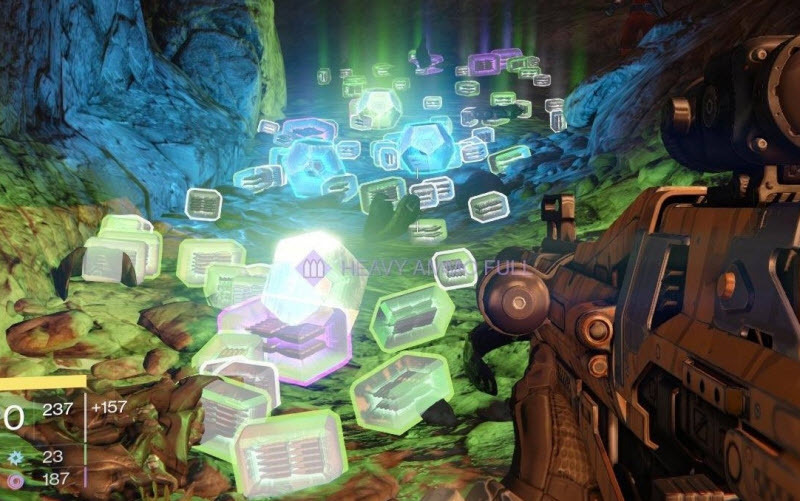 Destiny, Watch Dogs, and Driveclub came up a lot. 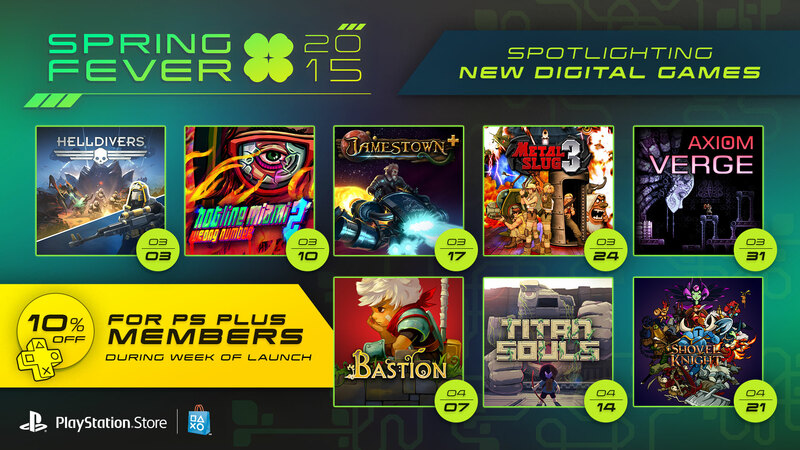 All three games were highly-anticipated, with bold promises for what the new generation of gaming was capable of. 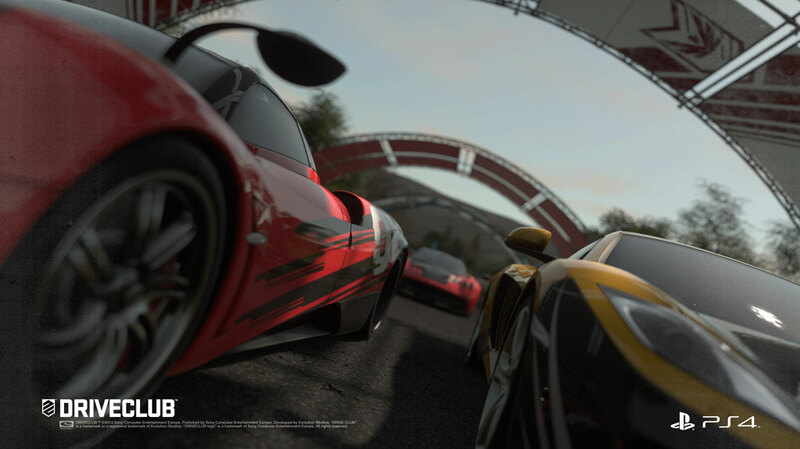 Destiny and Watch Dogs were also widely considered disappointments, and Driveclub suffered from multiplayer issues that took a while to resolve. Whether it’s a result of too much hype, misleading marketing, or unrealistic expectations, many PS4 users regret purchasing these two games. To a lesser extent, Thief and Battlefield 4 were also named often. Thief got a lot of mixed reviews, and the general complaint from fans is that it just wasn’t fun. Battlefield 4, meanwhile, was game plagued with so many glitches and bugs that many people found it unplayable. On a similar note, several people regret purchasing Assassin’s Creed Unity. Knack, one of the launch titles, also came up for reasons similar to those that led to its negative reviews—its high difficulty and lack of innovation turned off fans who expected something different from it. Other games were mentioned, of course, but these are the ones about which many fans are in agreement: Destiny, Watch Dogs, Driveclub, Thief, Battlefield 4, Assassin’s Creed Unity, and Knack. What about you? Which PS4 purchases do you most regret making? Do you disagree with the negativity toward any of the titles mentioned above? Twenty years ago today, Sony released the PlayStation for the first time. Now, the company has decided to celebrate the 20th anniversary of its original console with a special, limited edition PlayStation 4. This PS4 is gray to resemble the PlayStation, and it has a special 20th Anniversary label on it. Check it out with this unboxing video. Like what you see? 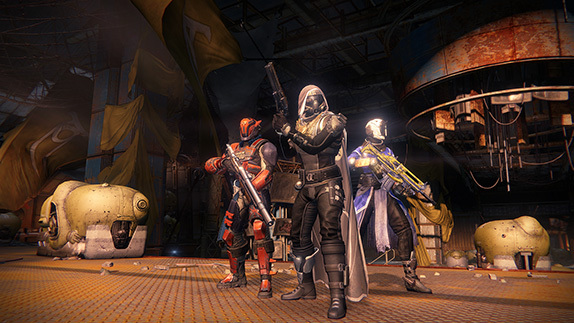 If so, tune in to PlayStation Experience, which will be streamed on Saturday, December 6 at 10 AM PT/1 PM ET. Pre-order details for the United States and Canada will be revealed there. 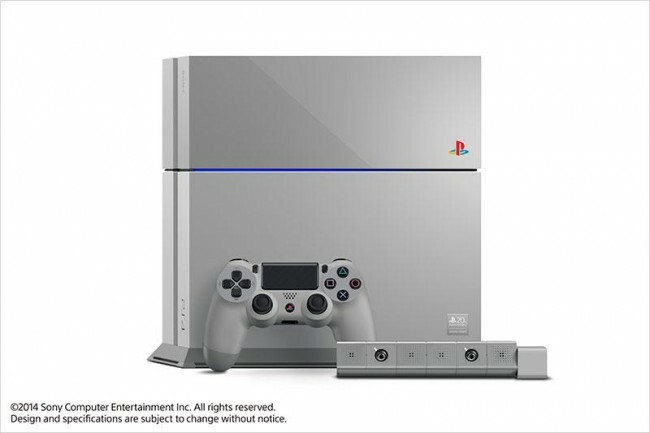 Only 12,300 20th Anniversary PS4 consoles will be released worldwide, so you’ll have to act fast to secure your order. If you’d rather remember the days of the original PlayStation without buying a limited edition console, PlayStation Europe announced special 20th Anniversary themes for the PS4, PS3, and PS Vita. The North American release of these themes is expected to follow. Of particular interest to fans is the theme that gives the console the startup sound used by the original PlayStation. In case you’ve forgotten that iconic sound, here it is on a player’s PS4. It’s hard to believe the PlayStation brand has been around for 20 years. What are your favorite memories of the original PlayStation? Are you interested in the anniversary themes or even the limited edition console? Let us know in the comments. For the full details about everything that was fixed in the update, check out the official announcement. As far as we know, the stairs still work, but maybe it’s just a matter of time.